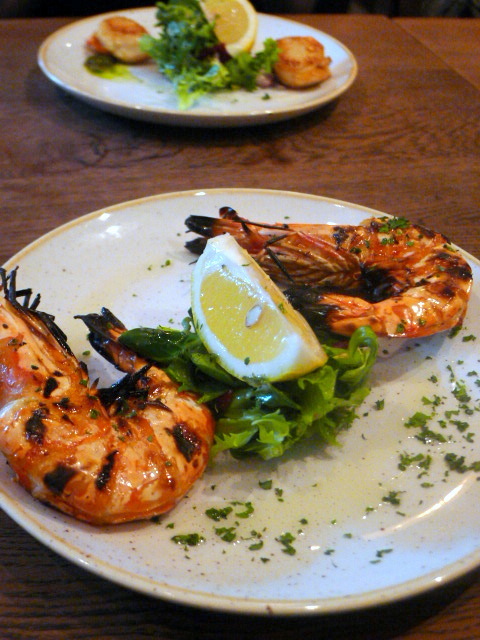 Another starter of huge Madagascan tiger prawns (£11) was just as simple and satisfying: grilled fully in their shells, they were juicy with a full-bodied texture. The process of disrobing them off their armour was part of the joy. Handily we were provided with a little bowl of water and lemon to wash off the dirty job! For the main course we were asked to come up to the display of meats and seafood perched next to the open kitchen and choose. Any fish available – or meat – can be grilled and served with chips and a sauce. The idea is that customers choose from whatever has come in fresh that morning (in the Crystal Palace site, fishmongers and a butcher are actually part of the operation). On the continent there is nothing original about such market to kitchen approach, but on these British Islands such a ‘concept’ still evokes an element of surprise and awe. 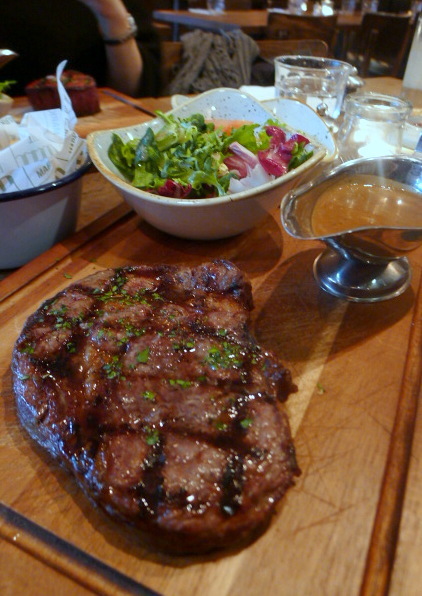 We both chose for our main courses, fillet (7oz – £24) and rib-eye (8oz – £23.50). The menu said it came from Surrey and had been matured for 28 days (the standard supermarket aging time is anything from zero days to three weeks). Both steaks were well-textured with a robust flavour and tender, albeit a bit overcooked (we asked for medium rare and they came out medium) and were slightly under-seasoned. ‘House’ salads served alongside were a bit average. But the sauces were a true highlight. Peppercorn sauce – lush and fiery, home-made mayonnaise and fresh ketchup to go with the pleasant chips were lovely. The mushroom sauce was also very good, but we would have preferred some chunky pieces of mushrooms in the sauce. The side dish of truffled mash tasted appropriately umami and yummy, but was ever so slightly lumpy. As for the grilled mixed vegetables, these were a little tower of summery produce. For dessert our French maitre d’hotel suggested chocolate fondant (£5.50) which came appropriately gooey and rich with chocolate flavour, if less crispy on the outside than we would have liked. Our other pud of hazelnut and caramel cheesecake (£5.50), served in a jam jar at first appeared too sweet. But with each mouthful, it grew on us and we found it completely addictive. We finished every single crumb of it. With a slightly crunchier biscuit base, the cheesecake would have been perfect. The World’s End does not however pretend to be fine dining, instead offering simple, but firm favourites of grilled fish and meat, burgers and classic salads. What it did, it did reasonably well, particularly with the delicious seafood starters. Our meat mains were pretty tasty as well, but could have done with slightly less time on the grill. There’s a nice charm to The World’s End Market, with the open kitchen and attentive if slightly stilted service making us feel very much at home. In all, The World’s End Market offers tasty, simple but effective cooking in a comfortable relaxed setting. 1) Full bodied, beautifully seasoned sauces. 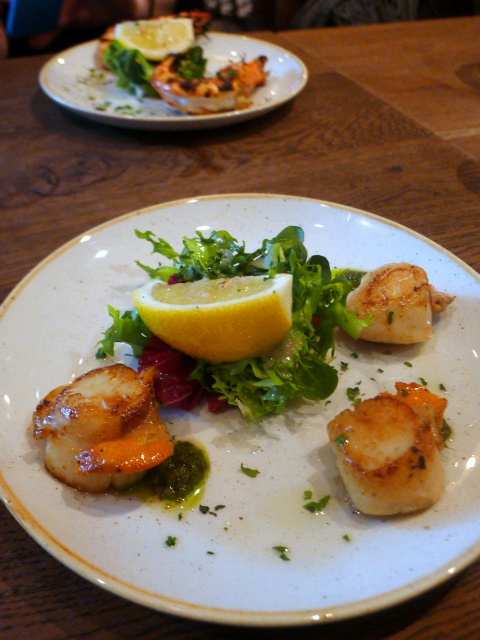 2) Well cooked scallops and prawns. 3) Relaxing, non-intrusive deco and atmosphere. 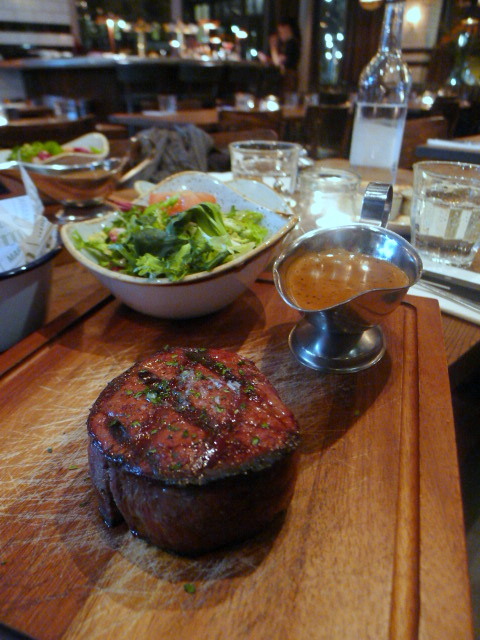 1) The beef was more medium than medium rare and could have done with more seasoning. 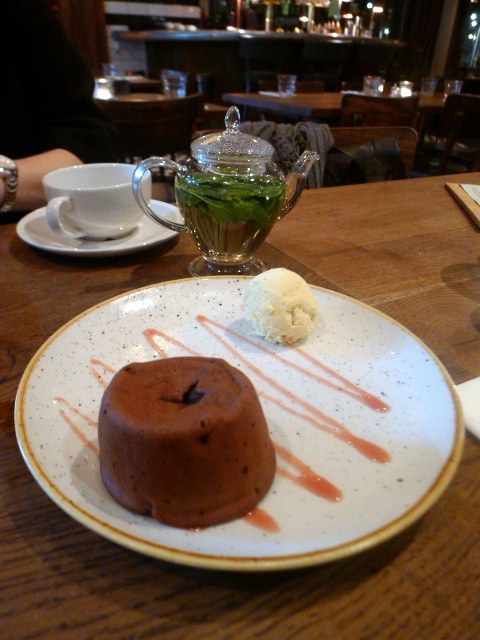 2) The chocolate fondant should have been that bit crispier on the outside. Prices: Three courses for £21 to £44. There are also burgers for about £9 to £14. Excludes drinks and service.